Alliance Data Systems Corporation is a publicly traded provider of loyalty and marketing services, such as private label credit cards, coalition loyalty programs, and direct marketing, derived from the capture and analysis of transaction-rich data. Alliance Data was formed from the December 1996 merger of two entities: J.C. Penney's credit card processing unit and The Limited's credit card bank operation, named World Financial Network National Bank. In August 1998, Alliance Data acquired LoyaltyOne, then-branded The Loyalty Group Canada, for $250 million. The deal gave Alliance Data two valuable business enhancements, Canada's Air Miles Rewards Program and the company behind the popular Air Miles program, LoyaltyOne. In May 2007, The Blackstone Group, a private equity firm, announced plans to acquire Alliance Data. In April 2008, Alliance Data terminated the merger agreement with Blackstone Affiliates. Ed Heffernan was promoted to president and CEO of Alliance Data in February 2009, after being with the company since 1998. Card Services is a provider of integrated credit and marketing services including private label, co-branded and commercial credit card programs. Alliance Data Card Services manages over 135 card programs for retail brands such as Victoria’s Secret, J.Crew, Eddie Bauer, Buckle, HSN, Pottery Barn and Pier 1 Imports. In 2011, Alliance Data, in partnership with NICE Systems, was honored with the Operational Leadership Award for its customer care centers by Ventana Research. Alliance Data Card Services maintains two banks to manage the funding and receivables for its clients' credit programs. In September 2012, the banks rebranded their names from WFNNB (World Financial Network [National] Bank) and WFCB (World Financial Capital Bank) to both operate under the Comenity name, as Comenity Bank and Comenity Capital Bank, respectively. LoyaltyOne, located in Canada, provides loyalty marketing programs for North American brands in the retail, financial services, grocery, petroleum, travel, and hospitality industries. Five businesses make up the LoyaltyOne: Air Miles national reward program, in which approximately two-thirds of Canadian households participate; Colloquy; LoyaltyOne Consulting; Precima; and Squareknot. Hewitt Associates named LoyaltyOne in their "2014 List of the 50 Best Employers in Canada." Epsilon provides a broad range of loyalty marketing services spanning database marketing, direct mail, email marketing, web development, loyalty programs, analytics, data services, strategic consulting and creative services, among others. Ad Age has ranked Epsilon among the top marketing services firms and direct marketing agencies for several years, and Epsilon has the distinction as being the Top US Agency From All Disciplines and Top US CRM/Direct Marketing Agencies for 2012. It sends billions of permission-based emails every year. Acquired by Epsilon in 2011, Aspen Marketing Services is a marketing services agency headquartered in Chicago, Illinois with locations in the United States and Canada. In 2012, Epsilon reached an agreement to acquire the Hyper Marketing (“HMI”) group of companies, the largest privately held digital marketing services agencies in the United States, for about $460 million. In March 2011, Epsilon detected unauthorized access to its email database, resulting in the theft of email addresses of its clients' customers. In late February 2013, Facebook announced partnerships with four companies, including Epsilon, to help reshape its targeted advertising strategy. 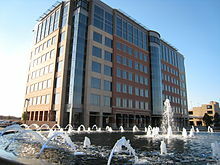 Because of Epsilon’s growth over the past several years, the company relocated its headquarters to the former Nokia regional headquarters space in Las Colinas, Texas, near Dallas. In March 2014, 60 Minutes interviewed Bryan Kennedy, chairman and CEO of Epsilon, as part of its segment, The Data Brokers: Selling your personal information. In 2010 Epsilon failed to heed warnings to secure data. In March 2011 it was discovered that email addresses from customers of 50 client companies were stolen. The company quickly notified the public about the breach. In June 2011 company executives were called before Congress to answer questions about the security breach. 1998: Air Miles was acquired by Alliance Data. 2002: Colloquy was acquired by Alliance Data. 2004: Epsilon was acquired by Alliance Data. 2005: Bigfoot Interactive was acquired by Alliance Data. 2006: DoubleClick was acquired by Alliance Data. 2007: Abacus was acquired by Alliance Data. 2008: Heartland Payment Systems acquired Alliance Data's Network Services business. 2008: Vertex acquired Alliance Data’s Utility Services business. 2011: Aspen Marketing Services was acquired by Alliance Data (to be a part of Epsilon). 2012: Alliance Data acquired the $475 million private label credit card portfolio of The Bon-Ton Stores, Inc.
2012: Epsilon acquires Hyper Marketing and agencies Ryan Partnership & Catapult. 2014: Alliance Data acquires BrandLoyalty. 2014: Epsilon acquires Conversant, formerly ValueClick. 2019: Publicis Groupe acquired Alliance Data Systems' Epsilon. ^ a b c d e f "Alliance Data Systems Corporation 2017 Annual Report (Form 10-K)". sec.gov. U.S. Securities and Exchange Commission. January 2018. ^ "The InfoTech 100 Companies: Alliance Data Systems Profile". Businessweek.com. 2006-05-31. Archived from the original on 27 June 2010. Retrieved 2010-07-01. ^ "U.S. database specialist buys The Loyalty Group". 1998-08-03. ^ Michael Flaherty; Caroline Humer (2007-05-17). "Blackstone to buy Alliance Data for $6.76 billion". Reuters. Retrieved 2010-07-01. ^ "Alliance Data To Be Acquired by The Blackstone Group". Paymentsnews.com. Archived from the original on 2011-07-15. Retrieved 2010-07-01. ^ "Alliance Data Drops Suit to Force Deal". The New York Times. 2008-02-09. ^ "Alliance Data Terminates Merger Agreement with Blackstone Affiliates". Paymentsnews.com. Archived from the original on 2011-07-15. Retrieved 2010-07-01. ^ "Forbes Profile on Ed Heffernan". Forbes.com. Archived from the original on 2011-01-29. Retrieved 2010-11-22. ^ Pearson-Hormillosa, Shashana (2010-01-10). "Alliance Data CEO Ed Heffernan taps into his M&A expertise to take big risks in a tough economy". www.bizjournals.com/dallas/. Retrieved 2010-11-22. ^ ADS. "Client News Release". ^ Pimlott, Daniel (18 May 2007). "Blackstone seals $8bn deal for credit card group ADS". Financial Times. Retrieved 6 November 2012. ^ "Comenity Bank: Private Company Information - Businessweek". Investing.businessweek.com. Retrieved 2014-03-13. ^ "AIR MILES Corporate Incentives | Fast Facts". Aeis.com. Archived from the original on 2009-04-01. Retrieved 2010-07-01. ^ "Awards & Accolades". Epsilon. Retrieved 2014-03-13. ^ "Advertising Age - April 26, 2010". Adage.coverleaf.com. 2010-04-26. Retrieved 2010-07-01. ^ "More customers exposed as big data breach grows". Reuters. 2011-04-03. ^ Elliott, Stuart (25 April 2011). "Epsilon to Acquire Aspen Marketing Services". nytimes.com. Retrieved 8 September 2012. ^ "Aspen Marketing Services Acquires Newgen Results Corp". destinationcrm.com. 1 October 2007. Retrieved 8 September 2012. ^ "Massive Breach at Epsilon Compromises Customer Lists of Major Brands". Security Week. 2 April 2011. Retrieved 3 March 2012. ^ "Epsilon Data Breach: Expect a Surge in Spear Phishing Attacks". PC World. 5 April 2011. Retrieved 3 March 2012. ^ "Epsilon email security breach widens". The Australian. 7 April 2011. Retrieved 3 March 2012. ^ Brown, Steve (2013-08-13). "Nokia leaving high-profile Las Colinas tower; Epsilon moving in | Dallas Morning News". Dallasnews.com. Retrieved 2014-03-13. ^ "Epsilon moves into newly finished Irving headquarters". Dallas Business Journal. 5 August 2014. ^ Kroft, Steve (2014-03-09). "The Data Brokers: Selling your personal information". 60 Minutes. Graham Messick and Maria Gavrilovic, producers. New York, NY: CBS Productions. Retrieved 2014-03-14. ^ a b "Epsilon Fell To Spear-Phishing Attack". Dark Reading. ^ Sue Reisinger. "Epsilon Data Management GC on How to Handle Data Breaches". Corporate Counsel. ^ "Alliance Data Systems to Acquire Epsilon Data Management, Inc". Crm2day.com. Retrieved 2010-07-01. ^ "Epsilon to Snap Up Bigfoot Interactive". ClickZ. Retrieved 2014-03-13. ^ Worldwide Databases (2007-02-01). "Alliance Data'S Epsilon To Acquire Abacus". Entrepreneur.com. Retrieved 2010-07-01. ^ "Energy Risk - Vertex Acquires Alliance Data Utilities, an Interview with John Hall @ RiskCenter: A Financial Risk Management Media Company". Riskcenter.com. Retrieved 2010-07-01. ^ "Alliance Data's Epsilon Business to Acquire Aspen Marketing Services". prnewswire.com. Retrieved 2012-07-18. ^ "Alliance Data to buy Bon-Ton's credit card portfolio". Reuters. 2012-06-19. Retrieved 2012-06-19. ^ "Epsilon goes omnichannel with its acquisition of Hyper Marketing". DMNews. 2012-11-09. ^ "Alliance Data Acquires 60 Percent of BrandLoyalty". BrandLoyalty. November 6, 2013. Archived from the original on 2015-02-04. Retrieved 2015-02-04. ^ "Alliance Data to Acquire Conversant, Formerly ValueClick, for $2.3 Billion". AdvertisingAge. September 16, 2014. ^ Constable, Simon (2019-04-15). "France's Publicis Groupe to Acquire Alliance Data Systems' Epsilon for $4.4B". TheStreet. Retrieved 2019-04-21.